This 131,523 wilderness conservancy preserves a spectacularly beautiful section of the Purcell Mountains. Access to this region is from Argenta on Kootenay Lake, Toby Creek north of Invermere or St. Mary Lake Road south of Kimberley. The many hiking trails in the area are recommended for the more experienced hiker, as this is an undeveloped wilderness park. 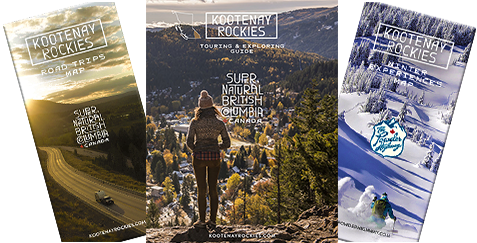 Trail brochures for Earl Grey Pass Trail and Fry Creek Trail are available to download in pdf format from the BC Parks website displayed above. Earl Grey Pass Trail The Earl Grey Pass Trail extends approximately 63 kilometres from Argenta at the north end of Kootenay Lake in the West Kootenay, up Hamill Creek, over the Purcell crest, and down Toby Creek toward Invermere. Conditions vary on this rigorous wilderness trail, and it should not be attempted except by experienced and well-equipped hikers. Extreme care must be taken whenever a creek is crossed, whether by bridge, by cable-car, or by fording. An average hiking-time for the trail is five days, but all suggested times are approximate, depending upon weather and individual hikers. Other park activities include, picnicking, backcountry camping and fishing. Horseback riding, climbing and mountain biking may be enjoyed on the east side; the west side is closed to horses and mountain bikes. Wilderness, backcountry or walk-in camping is allowed year round when accessible, but no facilities are provided. Travellers will come upon traditional campsites where impacts have occurred; campers are encouraged to use these locations. Register a trip itinerary with friends, check in and check out.